Before getting into the bulk of this write-up, make sure you listen to the new track, “Seeing Is Believing,” made entirely with these two new expansion packs (except for the drum beat that comes in about 45 seconds in). This track was especially exciting because it was the first non-score piece of music I’ve done in quite a while. I’ve been so busy with promoting the new album (see what I did there… haha), life, and well, scoring films, that I hadn’t made much stand-alone music. I think it came out pretty great. So what’s going on in that music? The answer is some killer synths, beautiful pads and awesome arps. These packs aren’t huge by any means (80 patches in Symbiosis and 64 patches in Illusions), but what is there is all top notch usable sounds. Like I said, the bulk of what’s here falls under the synths, pads and arps categories of each respective program, although there are other sounds as well like great Impacts & Hits in Symbiosis. In this particular song, I’m using about five Omnisphere Symbiosis patches and four from Massive Illusions. Starting with the Omnisphere pack, two of the arps I used called Outrun (which provides that sick funky rhythm that comes in towards the end) and Still Visible sounded great right at loading, but I decided to play around with the arp patterns to get what I got out of them. The main keys in the song are a sound called Finger Painting which provides beautiful, echoing keyboards, and White Air is a very pretty backing synth pad. I really wanted to use some of the Texture patches in this track, but at that point I felt the song was already busy enough. They’re great additions to this package though and will definitely get used in the future. Over in Massive, the Illusions patches were also perfect fits for this kind of ambient / electronica song. The big echoing synth you hear is called Dyerm, while another synth called All Transparent was incredibly playable and provides a secondary lead for the track. The main bass line is provided by two alternating versions of the End of Line patch with slightly different parameters that I tweaked at different points in the song. Like I said earlier in this write-up, it’s been quite a while since I’ve touched Massive, but I think I’m going to have to start digging in again because not only do I have these great new sounds for it, but it’s just a really cool program with lots of great content. So overall as you can see, I really liked what Gahrn Audio has come up with in their first packs, and their inspiration led the way to this awesome new track. I’d love to see a new pack from them that takes advantage of some of Omnisphere 2’s new features, and I’d love to see some more keyboard sounds and maybe some percussion. But for what they are, these are great packs and definitely highly recommended. Each of these packs are available now in Gahrn Audio’s website store priced very competitively at $23 for Symbiosis and $20 for Illusions. There are also FREE demos available of each pack, as well as more demo tracks and a full walk through of the Omnisphere pack. Gahrn Audio is run by fellow composer and sound designer Claus Gahrn, so it’s no surprise that he knows what other composers could use. Hopefully he makes some more packs in the future. I’ll definitely be watching for them. If you haven’t already, give a listen to the demo track “Infiltrate” above. I wanted to go for a really synthy piece of music with this demo since, well, that’s what people are going to mainly be using something like Hive for. Everything in the song “Infiltrate” is coming out of 10 instances of Hive, except for the main drum beat which is coming out of a different drum program (I just wanted to get a beat going really quickly so I could build around it). I could have just kept adding layers and layers of synths but I felt like it was at a really good point for the purposes of this review. Some of the sounds I’m using include “HS Gitanoid B fast” which is that cool hypnotic arpeggio synth and “BA Blue Tone” which is the main bass line. The crazy, funky, filthy breakdown that comes in half way through is called “AZ HIVE in GOA II Dirty.” The names on these things can be all over the place, but there’s a reason for that… Hive has an absolutely insane user base already, even though the program is only in beta. I have more presets just from downloading collections from the official forums than most synths have on the purchased disc. Of course having a ton of presets means having a lot of stuff to browse through. Luckily the browser is nice and snappy. The fun really starts though when you start digging in and making your own sounds. Two Oscillators, two Filters, two LFOs, two Amps, and two Mods are all available. It’s laid out in a way that shows you everything all in one screen so you can dive right in and start messing with the sounds. It’s definitely a little overwhelming if you’re not a huge synth fiend, but most likely if you’re interested in Hive and u-He’s other plugins, you know what you’re looking for already. And those controls are just the beginning. There’s a full FX section with Distortion, Chorus, Reverb, Delay and more, and you can save and load presets from one to another. Then the ARP & SEQ is where Hive really shines for me, personally. I already have tons of great synth sounds in some of my other plugins, so it’s not like I really need another synth… But this is where things get set apart. 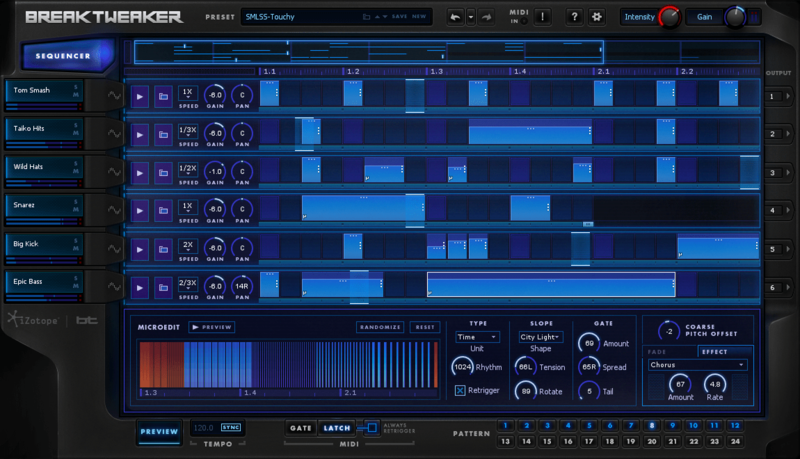 I think the Sequencer is the best I’ve seen in any plugin. First of all, it’s all laid out really clearly as to how to make a sequence work the way you want it to. This feels like one of those easy to learn difficult to master situations as there’s a lot of power behind this thing. My favorite part of the arp sequencer is the Record feature that lets you play out a pattern of notes on your keyboard to simply create the pattern and then go from there. Some of the sounds I used that feature an arpeggiated sequence were kept with their default patterns, but some of them I definitely took advantage of this feature and made new patterns myself. It’s really cool and something I could definitely see myself using a lot in the future. I actually managed to sneak a little bit of Hive into one of the last tracks I finished on my new album An Unseen Sky (which is available now at http://davidrosen.bandcamp.com). The song “Into The Black” features two instances of Hive and it sounds awesome (if it sounds like I’m being redundant here, I am… this paragraph was covered in the preview, but I had actually started writing this review way before the preview, back before I got all crazy busy, but I figured I’d leave this paragraph in since it has a plug for my new album haha). I am sure that this program will be used a lot on my future releases. u-He Hive comes out June 2nd for $149 but is available for purchase now for a special introductory price of $99! If you like synths, you seriously can’t go wrong with this purchase. This is something that hopefully will be a rarity for me, but welcome to a mini-preview edition of THIS THING RULES! As you know, in THIS THING RULES I review a new piece of software and post a brand new piece of original music that I composed either exclusively with or heavily featuring that software. Well I have a brand new entry written about the excellent new synth Hive from u-He, the makers of the amazing Zebra2. Unfortunately, my computer died. Dead. I am computerless. And the piece of music I made, while backed up and safe, can’t be exported until I have a computer to export it with. I should hopefully have the computer back this week, but since I planned on this review and track being posted last week already, I decided to post this special preview, because a song from my recently released album An Unseen Sky also features a whole bunch of Hive on it. As soon as I’m back up and running, I’ll post the full THIS THING RULES segment with my review of u-He Hive and a track that is made up almost exclusively of Hive sounds. And if you’re a composer, make sure to check out u-He.com for a public beta of Hive that is available to try now! Welcome to another edition of THIS THING RULES. You may remember from my “The Past & The Future” Blog Post that I placed 8th in a composing contest sponsored by music software news site rekkerd.org. My prize was the entire collection of Sonic Zest Instruments for Native Instruments’ Kontakt. I’ve spent the last couple weeks playing with some of the instruments, and so far, I am extremely happy with my prize. My reviews here aren’t meant to always be an entirely comprehensive look at all the features and sounds included in any given product, so I didn’t fully explore all of these sounds, In the piece of music I made above, I used Acoustic E-Bow, Acoustic Autumn, Moroccan Drums, Ambient Cinematic Guitar 1, Ambient Cinematic Guitar 2, The Typewriter of Prince George and Cinematic Soundscape. As you can hear, the music is full and lush and of a top shelf quality. When considering that most of these go for $16 right now (or the complete collection at an amazing $125), the sound quality is actually kind of surprising. Everything is also wonderfully playable and natural. The Moroccan Drums are the first thing that will probably grab your attention in this track. They’re so easy to play and come up with a rhythmic background. The Acoustic eBow creates a gorgeous bed for the various guitar melodies that I then brought in. I obviously really love the guitars that Sonic Zest has sampled here, and use almost all of them in this one piece. To bring up the rhythm at the end, I used the Typewriter of Prince George which has some great clacking key type sounds that work great when mixed in with the traditional percussion sounds. Sonic Zest has created a great collection of instruments here. At $125, it’s a ridiculous steal. Get it. You won’t be sorry. UPDATE: I’m glad I posted this in time for Black Friday, because this collection is available THIS WEEK ONLY for the insanely low price of $89. Seriously. If you make music and use Kontakt (which if you do make music, you probably have Kontakt), get this. You’ll love it. There was a contest to create a piece of music for the trailer to the excellent looking film “LFO,” and right away when I watched the trailer, I knew that this piece of music would be perfect for it. So I entered it, got a lot of great feedback, and since I’d hate to skip a review on a piece of software I received and loved, I decided to finally go back and get this thing up. As you just heard… It’s a pretty tense and synth heavy track. The main two presets that I used from Omnipulse are “BPM BASS – Heavy Weight Offender” and “BPM GUITAR – 12 Stringer M.” The Bass sound creates that insane, heavy synth bass line while the Guitar sound adds a loop of tension to the track. 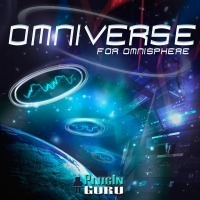 I’m also using sounds from another of PlugInGuru’s Omnisphere Expansions, Omniverse, as well as some other sources. While I wouldn’t use the sounds in Omnipulse alone to create a full piece of music, the presets that it does come with are absolutely essential for tense, dramatic underscore, as well as electronica music. The presets themselves are amazing as is, but they all have wildly variable results when played with the Mod Wheel… So much so that it’s seriously become my go-to for getting a score started. These sounds can provide the bed that any dark, atmospheric film needs. Then you can just build on top of it from there. Also, since they are arpeggiated based on Omnisphere’s built in Arpeggiator, they work with projects of any tempo. It couldn’t be easier to use. Before I get started on this edition of This Thing Rules I just wanted to say sorry for taking so long to get back to this series! I had a constant string of composing work, promoting my “If Only Tonight I Could Sleep” Video and Fundraiser, and just lots of other stuff that kept me incredibly busy. I’ve got a backlog of about 6 This Thing Rules posts to finish up, but I wanted to get started getting back into it with something brand-new… The amazing new Omnisphere expansion pack The Coil by Plughugger. Let’s give the song “Fallen Angels” a listen. The first thing you’ll notice in the track are those sinister, dark drone sounds at the beginning. That’s a preset in The Coil called “The Day After” and it’s just so… EVIL sounding haha. I love it (update: I realized just as I was getting ready to post this that it’s also used in the opening of their promo video)! The Coil is an expansion based all around one sample of electricity. That’s right… the people at Plughugger took one basic sample of raw electricity from a Tesla Coil and using the power of Omnisphere, transformed it into 150 new presets including atmospheres, arpeggios, pads, leads and basses. These things aren’t just overly similar sounds either… Everything is completely different and completely playable and usable. Plughugger claims that the sounds are “set in a zone between the normal and the weird” and that’s a perfect description. Aside from the drums, every single other track within “Fallen Angels” comes from The Coil. The bass line is a combination of a bass preset called “Distorted Menace” and a very dirty arp called “Quantum Heap.” The main echoing synth line is created with a sound called “Ambiano” which is a lot of fun to play with. I didn’t want to get too crazy on this simple demo track, but I can already tell you that I’ve used “Ambiano” for a solo-like piece on one of the songs on my next album. There’s about 4 or 5 more tracks mixed in there with more sounds from the collection as well and I could have easily continued to layer without running out of ideas. Is there anything missing from this collection? Not really. It’s pretty much perfect, especially for the price of $18.87 (or $12.54 if you get in before October 12th!). Please note that those US prices are roughly converted from the Euro price listing on their website. I’d love to hear these guys make a companion drum kit using electricity based sounds… Although Omnisphere wouldn’t really be the right place for it… Maybe make it for Native Instrument’s Battery or something. 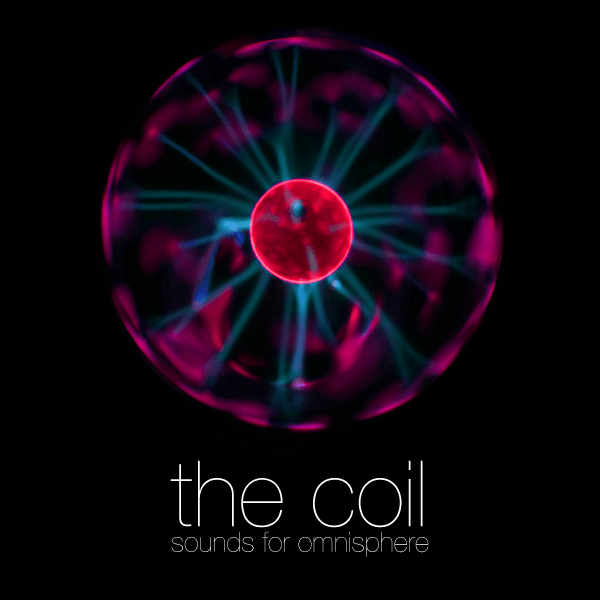 If you already have Omnisphere, there’s really no reason not to pick up The Coil. The included sounds are highly usable in any kind of composition, and the price is absolutely killer. As for the software itself, lets tackle them one at a time. Lounge Lizard EP-4 is kind of exactly what it sounds like… a virtual electric piano with lots of cool authentic Rhodes & Wurlitzer keys, as well as uniquely different sounding presets that provide a twist on these classic sounds. As far as sound quality goes, this thing could easily be used in a live atmosphere. The sounds are rich, and it uses a surprisingly small amount of memory, allowing for greater flexibility when you start layering the keys. And in the studio, the presets are categorized in a way that makes finding sounds very easy. Another plus is that everything loads super snappy making sound selection a quick, smooth process. Most of the track up above is made of Lounge Lizard sounds. 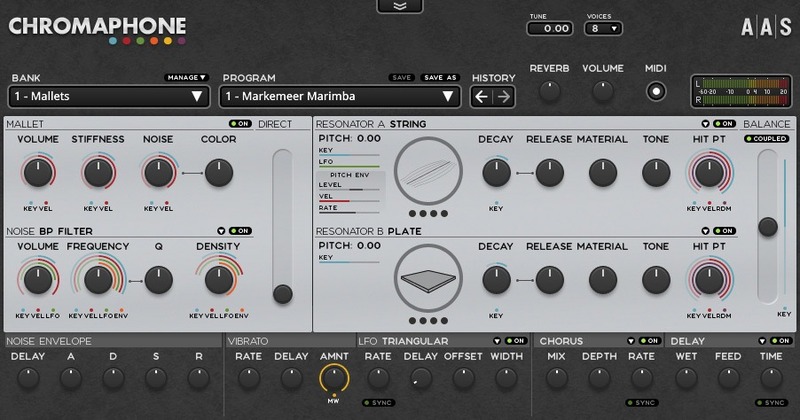 The other piece of software is Ultra Analog VA-2, which is a beautifully powerful software synthesizer. It offers all the features and options you would hope for in a classic synthesizer, with tons of presets and effects to play with to get the sound you’re looking for. The sounds range from keys, pads and synth leads to rhythmic percussion loops and and beautiful ambient tones. It also shares Lounge Lizard’s super fast and efficient interface. Another great advantage of these two are their options for expansion. There are many official expansion packs available for them at dirt cheap prices, and a community of members that share new presets. I actually picked up a couple of the expansions during the Xmas sales and there is some great stuff to choose from. Loading the expansions and presets is dead simple, and with this smooth interface, everything is super quick. These are both great packages and I can definitely recommend either one to anyone looking to expand their virtual instrument arsenal. 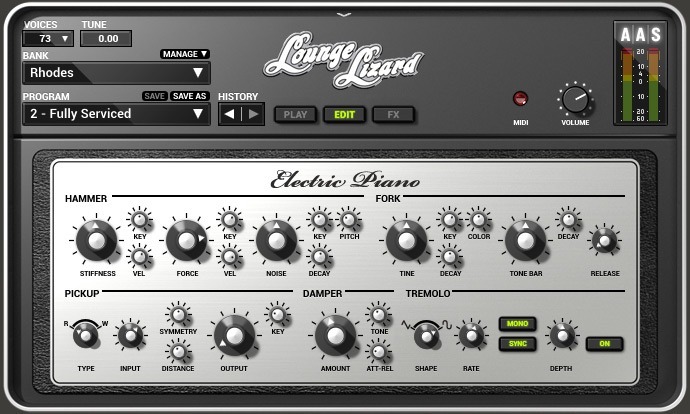 I would say though, that while Ultra Analog is a really cool synth, most likely you already have some great software synthesizers, so if you’re just going to check out one, I’d definitely make it Lounge Lizard. The quality of the more traditional sounds are excellent and the ability to dial in new versions of the classics really give it an edge. Ultra Analog and Lounge Lizard are both available for $199 each at the time of this blog post, so if you’re making music, go check them out! So my weekly This Thing Rules segments got pretty messed up by the holidays, BUT I am back with a brand new installment and a couple more already lined up. Time to get this thing back on track! This time I am writing about PlugInGuru’s Omniverse 1 & 2. What a beautiful collection of sounds! Before you continue reading, make sure you listen to the sample track above, which was created completely with sounds from these two volumes. Omniverse 1 & 2 are Expansion Packs for Spectrasonics’ Omnisphere, which is probably my favorite piece of music software, so I’m always excited to get some new presets to mess with, but it’s especially a treat when the presets are so ME. PluginGuru says that “it’s called Omniverse because of its versatility” and it’s absolutely right. You’ve got hard electronic sounds, beautiful lush strings and pads for film scores, as well as great keyboard sounds and tons of other patches. As a bonus they include special Envelope and Arpeggiator Presets for messing with any of the included or existing sounds and creating even more unique possibilities. In the demo track above, I start off with the “Obsessiv Pluk” Lead and then begin to add multiple layers of Guitar sounds including the “Classical and High Voices” and the “Sad Baritone.” From there I include various keys, plucks, percussive elements and big beautiful pads. The overall effect is very cinematic and pretty, but with some definitely electronic edge. It’s too early to start talking about my second album, a follow-up to Echoes In The Dark, but I definitely think this track is something I could continue building off of to create a new killer song. So there you have it. If you’re making music and you have Omnisphere, Omniverse 1 & 2 are a great collection. At $30 each, they’re an absolute steal, and PlugInGuru recently released a 3rd collection, OmniPulse which I’m dying to check out. I definitely recommend these guys and will be using their sounds in a lot of my upcoming productions.